Vacations are likely over, the Labor Day holiday weekend is a distant memory and schools are back in session. 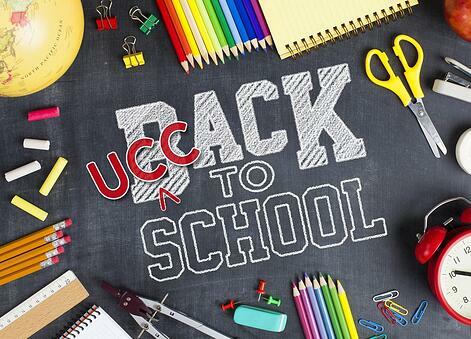 Even if school days are well behind you, it can’t hurt to brush up on some UCC Article 9 fun facts and see how your knowledge held up through the long sunny days of summer. Challenge yourself with the quiz below and see how ready you are to tackle your next UCC project in this often non-uniform UCC world. Which state has a ten-year period of lien instead of five years for UCC financing statements? Which state(s) require(s) a full social security number when the debtor is an individual? In which state may a fine be levied if the secured party fails to notify the debtor of a filed financing statement? Which Secretary of State office is likely to reject your UCC financing statement if a party name includes a tilde (~) over a letter? Which of the following collateral types cannot be secured by the filing of a financing statement? Which state’s search logic does not disregard spaces in the entity name as described in the MARS (Model Administrative Rules) search logic? Within Article 9 of the UCC, which of the following is considered a public organic record? In which state, when filing online, must you include evidence that you are an authorized representative of the SP making the filing? A UCC5 was originally called a Correction Statement, then changed to a Statement of Claim, and is now referred to as which of the following? In which state are you able to consult a U.S. passport for the legal name of an individual debtor? No state prescribes the use of a U.S. passport to verify the legal name of an individual debtor. Answers: 1) c, 2) a, 3) c, 4) c, 5) d, 6) b, 7) d, 8) e, 9) a, 10) e.
So, how did you do?? If you’re a NYC-based legal or financial professional and want to refresh your memory about UCC searching and learn why you should also be doing IP due diligence, sign up for our free 1-hour CLE seminar on October 3rd.